A fiber taper can evanescently couple to whispering gallery modes (WGMs) in a planar silica microdisk for observing the optical properties of the microdisk cavity. It is revealed that WGMs have very high quality (Q) factors by controlling the air gap between the taper and the microdisk. The best coupling efficiency from the taper to the microdisk is as high as 98%, and can be continuously adjusted from the under-coupling, critical-coupling to over-coupling regimes. The influence of the laboratory circumstance such as surface contamination on the microdisk is also discussed. It is experimentally shown that the high-Q-factor (105) modes can be kept for a long period in a general laboratory circumstance. OCIS codes: 120.4640, 230.0230, 230.3990. Whispering gallery modes (WGMs) in planar silica microdisks or other symmetrical systems are of wide interest due to their small mode volumes and high quality (Q) factors at optical frequencies. As a result, the microresonators owning WGMs have been considered as candidates for various of optical applications such as ultra-lowthreshold lasers, sensing devices, microphotonics[1?5], atom-field coherent interactions[6?10], and quantum information processing[11?14]. 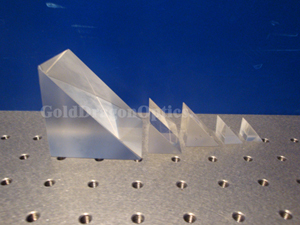 Planar microcavity based on microfabrication provides an attractive WGM system. In particular, planar microcavity like microdisk possesses the advantage of integration, which makes its combination with other optical or electrical components possible. Recently, a microdisk has been treated into a microtoroid, achieving a higher Q factor. By virtue of the work on cavity quantum electrodynamics (QED), we have fabricated microdisk cavities with the help of techniques such as photolithography, pattern transfer into the silicon dioxide layer, and selective gas etching of the exposed silicon[15,17]. Through that way, microdisks that perform high throughput were obtained. Microdisks on a chip are circular shaped with a diameter of about 50 μm, thickness and wedge outer margin of 2 μm (Figs. 1(a) and (b)). The microdisks without any post treatment can exhibit WGMs with high Q factor in excess of 105. 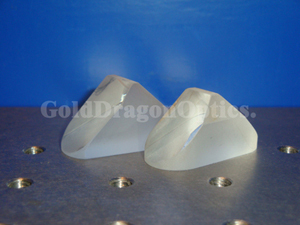 The modes in the WGM-type microcavities are highly confined. Therefore, near-field external couplers, such as high-index prism, side-polished fiber, and fiber taper, are required to efficiently couple the light into and out of the cavities. In experiment, we adopt the fiber taper because it provides the best coupling efficiency. The taper was made by hydrogen flame heating and pulling a standard fiber until its waist diameter decreased to about 1 μm[21,22]. A tunable laser was utilized as the input light source. The microdisks were fixed on the piezoelectric transformer in order to precisely control the air gap between the fiber taper and microdisks. After the microdisk approached to the taper, the laser would scan the wavelength in a band. During this period, a detector was used to detect the transmission spectrum of the microdisk-taper system. The Q factor of the coupled system can be acquired from full-width at half-maximum (FWHM) (Δν) of the transmission spectrum. Here the Q factor is defined as Q = ν/Δν, where ν is the frequency corresponding to the resonant WGM. Figure 1(c) shows a typical transmission spectrum for the microdisk-taper system. The inset is a detailed absorption peak, which gives the Q factor of 2.5 × 105, the resonant peak is fitted with a Lorentzian line shape. In the experiment, the measured Q factor characterizes the whole microdisk-taper system, which can be described in the form of Q?1 = Q?1 0 + Q?1 ex . Here Q0 denotes the intrinsic Q factor of WGMs in the absence of external couplers, and Qex is generated by couplers. A higher Q0 factor is limited by several dissipation mechanisms, including the intrinsic radiation losses, the scattering losses due to the residual surface inhomogeneities, the losses introduced by surface contaminants, and the material absorption losses. The fiber taper introduced Q factor (Qex) is decided by the air gap between the fiber taper and the microdisk. By adjusting the air gap size, the coupling condition between the taper and the microdisk can be loaded into under-coupling, critical-coupling, and overcoupling regimes. In the under-coupling regime Qex is larger than Q0 and little light can be coupled into the microdisk. When Qex equals to Q0 by decreasing the air gap, the critical coupling occurs, and the light in the fiber is absolutely coupled into the microdisk. Then in the over-coupling regime Qex increases smaller than Q0 as taper approaches further to the cavity. Figure 2 shows the WGM transmission spectra for different coupling regimes, in which the air gap decreases in turn. Figures 2(a) and (b) are at the under-coupling regime, and Fig. 2(d) describes the over-coupling regime. In these regimes, not all the input light in the fiber is coupled into the microdisk, and the normalized transmission is much larger than zero. Figure 2(c) shows a transmission near the critical coupling, about 98% of light has been coupled into the microdisk. From this critical-coupling point, we can get the Q0 value of the microdisk of approximately 1.6 × 105. The microdisk sample would be used for a long period of time, but it might be contaminated during the experiment. Therefore we compared the transmission spectra obtained from the same microdisk when it was freshly fabricated and used for a series of measurements. The results are shown in Fig. 3, from which we can see that the Q factors maintain almost the same. The results show that the microdisk’s intrinsic quality factor Q0 (up to 105) is insensitive to the dust and vapor in a laboratory lack of a cleanroom. The microdisks can work for a long period in a general circumstance. In summary, we have effectively coupled light into microdisks using a fiber taper. 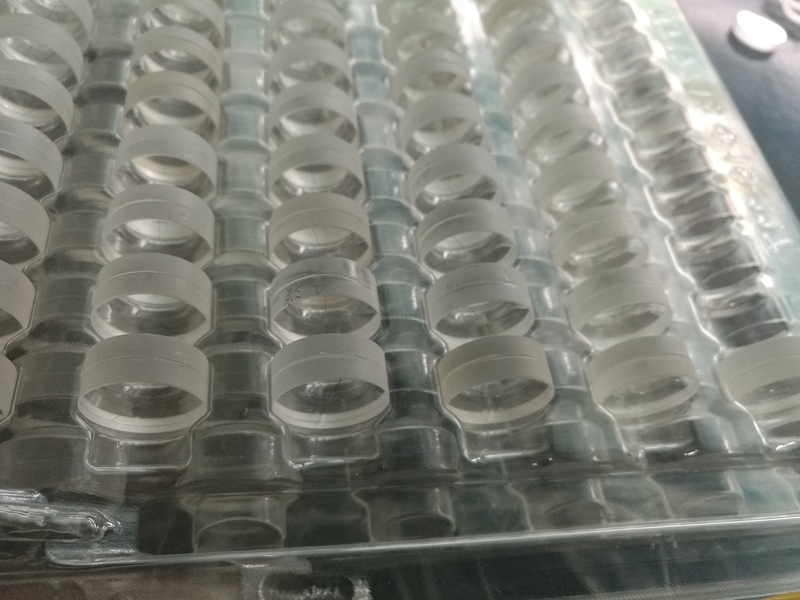 WGMs in the microdisk without any further surface processing have been demonstrated with high quality factors, and the highest Q factor exceeds 105. 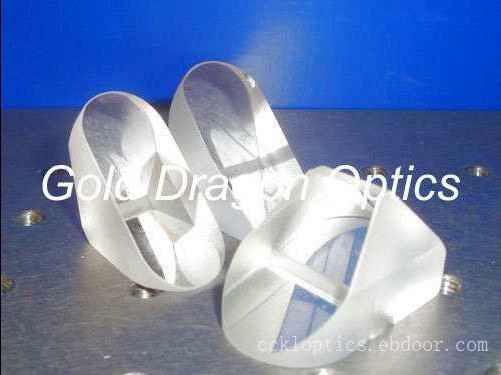 By modifying the air gap between the fiber taper and the microdisk, different coupling regimes can be obtained. 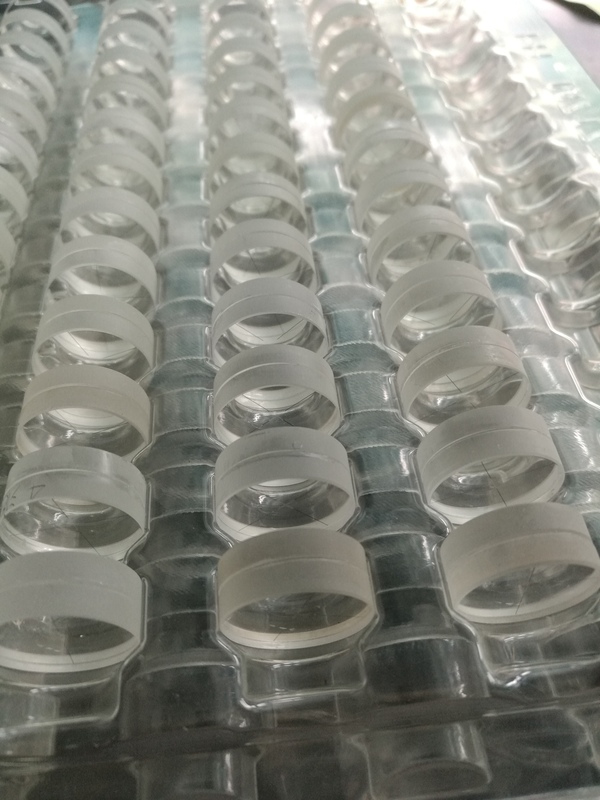 The microdisks’ stabilization is tested in laboratory circumstance out of cleanroom. Y. Xiao thanks Professor Kerry J. Vahala at California Institute of Technology and Professor Lan Yang at Washington University in St. Louis for their guidance in preparation technology of microdisk and fiber taper. X. Wu and Y. Xiao contribute equally to this paper. This work was supported by the National Fundamental Research Program of China (No. 2006CB921900), the Knowledge Innovation Project of Chinese Academy of Sciences, and the National Natural Science Foundation of China (No. 60537020 and 60121503). Y. Xiao is also supported by the China Postdoctoral Science Foundation. Z. Han is the author to whom the correspondence should be addressed, his e-mail address is zfhan@ustc.edu.cn.